After George died, his friends were moved to organise a whip round for some flowers… and a snowball was formed. Soon the flowers became a memorial bench and then something much bigger. The same friends decided that they would have a football match…. 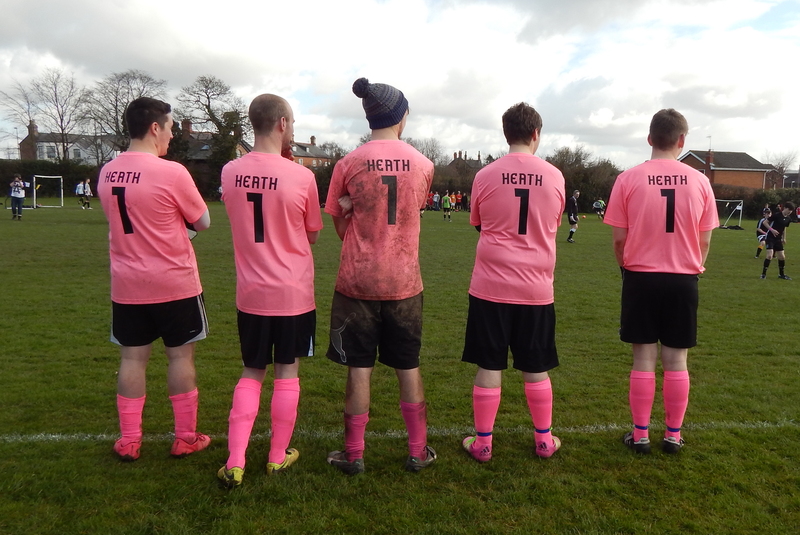 but so many people wanted to play that it became a charity tournament and only three weeks after George died, hundreds of people came to the first George Heath Memorial Trophy, followed by a fundraiser in the pub where George worked. Getting a drink that night was impossible as it was so busy! Slowly, it became obvious that something more formal was needed, and George’s friends and family started the process of establishing a charity in his name to celebrate his life and ensure that his name lives on in the hearts of the many who were close to him and in the numerous and diverse communities where he was widely known and loved. Our logo? After George died we were all at sea, we haven’t ever thought about the end of our own lives, much less expecting to have to deal with the death of our son. Very soon we came into contact with Reverend Adam Friend, and he suggested that we contact Jacqueline Wilson Independent Funeral Directors. Because of our young grandson, and our struggle with trying to explain to him where “Funcle” George was, Jackie introduced us to “The Dragonfly Story” (Water Bugs and Dragonflies: Explaining Death to young children). The story is a beautifully written way of explaining death using the world of nature and introducing the idea that death is not an end but a kind of transformation where the person who has died is still around but just can’t be seen in the same way as before. Since then the dragonfly has become a symbol for our friends and family of the love that we have for George, and that he is still with us all, but in a different manifestation.